The Perfect Fit for Your LBM Operation. Ponderosa worked closely with us to deploy a customized ERP business solution that continues to maximize the day-to-day value we derive from the software. Ponderosa has helped us reduce manufacturing time by almost 30 percent, while virtually eliminating errors. 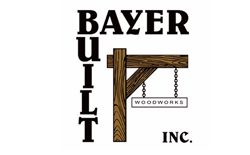 The ultimate judgment on the quality of any company or lumber, building materials and millwork software is made by its clients. 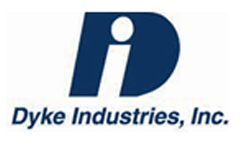 We are pleased to have worked closely with the building materials and millwork industries for more than 35 years. 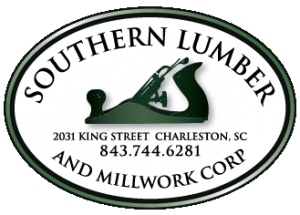 Our clients speak for themselves when it comes to their reasons for selecting the Ponderosa lumber, building material and millwork software as their primary business and accounting solution. Most IT Customer Service reps are either good at customer service and weak technically or they’re so technical that they can barely say hello – the LBM consultants at CAI are the exception to this. They provide exceptional technical and customer service every time, on every call. We assigned a team of key users to conduct a thorough review of various solutions and selected the Ponderosa from CAI. We feel like we could not have chosen a better partner and would strongly recommend any business looking to upgrade their business software to look at Ponderosa. We signed on with Ponderosa in 2012 and our support has been fantastic. We have fostered a great relationship with our consultant at Ponderosa and he’s been with us since day one. It’s great knowing that a knowledgeable person with an intimate understanding of our operations is just a phone call, email or text message away. These days it’s hard to find that personal level of support. With Ponderosa, we have. From the sales folks to the impressive group of consultants who were there with us during our successful go-live, everybody worked with us to understand the nuances of what we do and why we do it. There was absolutely no impact to our daily activities during the switchover. Our old software from CAI was chugging along just fine, but we knew that if we were to take advantage of the latest technology and Ponderosa’s current capabilities that we’d need to, at some point, upgrade our software. We can’t overstate the role that Ponderosa’s production and inventory handling capabilities have played in enabling the customer-centric service philosophy that permeates everything we do as an organization. With Ponderosa’s simple, integrated POS software, we just open the sales order screen and pull up the customer by name or account number to view previous orders, credit issues, scheduled deliveries, total purchases to date, outstanding invoices and other information. This helps us ensure the most positive experience for the customer while maximizing the potential value of each transaction. A customer was looking for a price on a double door unit, double bore, and a few other options. Eight months ago I would have had to write it all down by hand, look everything up in the book, price it, then have it double checked, re-written and faxed to the customer. Today, I punched it in to Ponderosa’s ProCon tool and gave him the price in seconds. He asked for a copy of it and I e-mailed it to him while we were on the phone. It just blew the customer away. The software has become integral to every aspect of our business and really feels like it was developed just for us. The time that we spent collaborating with the team at Ponderosa prior to implementation has paid off. Together we identified areas where the software could make our employees more productive and then took the time during the implementation process to make sure the software was as user-friendly as possible. Our team has been able to master the software and hit the ground running. ProCon is a fantastic tool that simplifies production ordering. It’s perfect for our door business. We can easily set-up, build out and cost our pre-hung Masonite doors, while allocating inventory, scheduling assembly time and tracking labor associated with the order. The system is outstanding, and we trust in the accuracy of each order. We carefully evaluated other options but liked that with Ponderosa, orders are generated from the perspective of a millwork manufacturing operation, with sales orders feeding the production cycle. Some of the other packages we looked at seemed based more on retail Point of Sale, where the software treated millwork orders more like selling assembly items, or ‘kits’. We made the decision to stick with Ponderosa and the great team that had treated us so well over the years. We have found Ponderosa to be ideally suited to the daily needs of our business, saving valuable time and improving the quality of service we provide. Ponderosa’s Inventory Remanufacturing Processing module automatically calculates chemical costs – based on the amount of chemicals applied to the lumber – tracks labor and updates inventory data for both the raw materials and the finished product. We are very pleased at our decision to implement the Ponderosa software and to have the opportunity to work with an experienced and conscientious staff of consultants, data processing professionals, project managers and developers. The commitment of the dedicated people at Ponderosa, and their wealth of hands-on experience with the day-to-day challenges of a business like ours are extremely refreshing. They worked closely with us to deploy a customized solution that continues to maximize the business value we derive from the software. Our manufacturing plant was certainly not operating at peak efficiency, so we evaluated a number of software solutions and found that Ponderosa was just what the doctor ordered. With Ponderosa, we have significantly reduced our manufacturing time while virtually eliminating errors. Our service personnel can also easily track appointments, schedule service personnel, monitor service-related expenses, identify materials and costs, track the type of work performed, and highlight charge-back customers and vendors. Because of their unwavering commitment and support, we’ve deployed the Ponderosa software across each of our corporate locations throughout New England, as well as Savannah, GA and Ft. Myers, FL to help us drive sales, reduce operating costs and consolidate business information. Truly, Ponderosa’s staff has become an extension of my business. Ponderosa has helped us deal with a rapidly changing door and window industry. Ponderosa lets us manage our accounting, purchasing and inventory needs as well as our customers’ needs. J.B. Sash & Door Co., Inc.